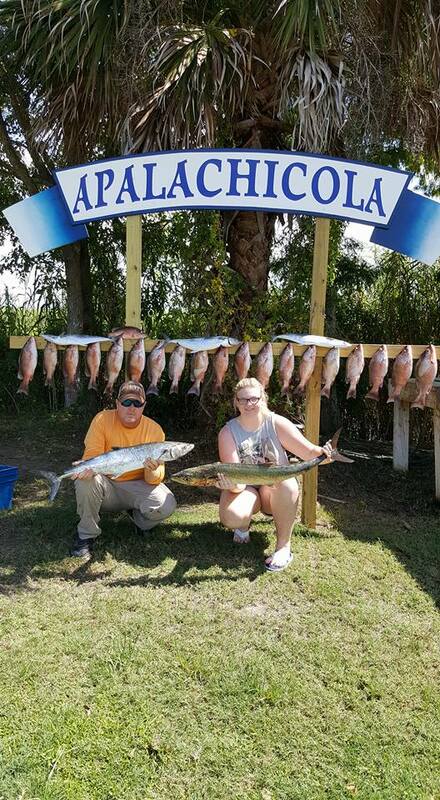 We are the undisputed best at fishing in Franklin County Florida! 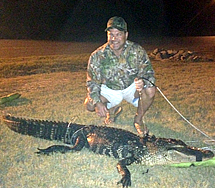 Having won the last major tournaments in the area, our U.S. Coast Guard Certified Captains are the top guides in the Florida Panhandle – we are professional, clean cut and take our trips serious. Safety is #1. Producing fish is our goal. Some guides have over 40 years of experience. 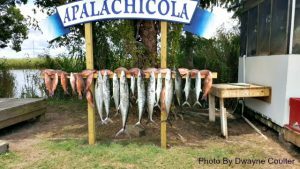 We offer ½ and full days in Apalachicola Bay and the Apalachicola River. Offshore Trips Offering ½ and full days carrying up to 6 passengers for an unforgettable trip. 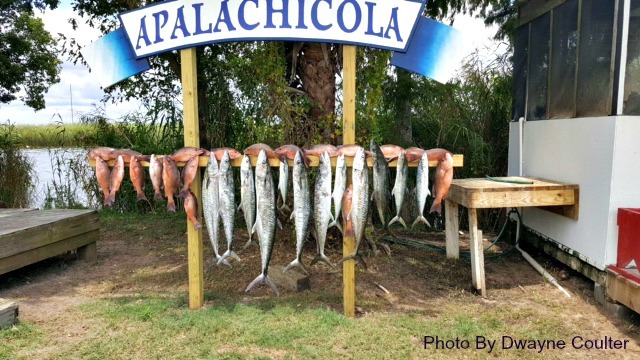 We guarantee fish – species include Mahi, Grouper, Snapper, Cobia, Kings, Seabass, Sharks & more! Night Flounder Gigging is a must for your bucket list! Done after dark with generators and spotlights – see them & stick them. This is one of our most popular trips for our repeat friends. Combo Trip includes a full day on the water. Half day spent fishing in Apalachicola Bay the other half spent fishing offshore. 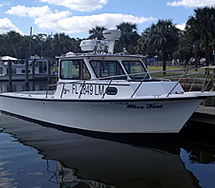 Great value and lots of fun for the true fishing enthusiast. Flats Fishing includes poling and sight fishing for Tarpon, Red, Trout and more. Shallow water at its best! Fly Fishing is done by our two local experts. 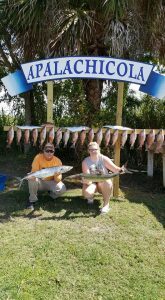 They travel wherever the fish are, from Carrabelle to Port St. Joe, targeting Tarpon in the summer months as well as the big Reds. Lessons available – these guides cannot be touched by the expertise they have between them. 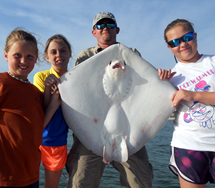 Kids & Family Fish & Fun Adventures include pulling up crabs, oysters, light fishing and shelling combination to experience our beautiful Apalachicola Bay. 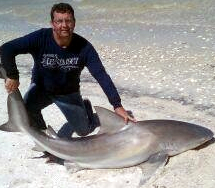 Bring your catch back and have it prepared by a local restaurant or rent a grill from us. Oyster Harvesting Trips allow you to tong your own oysters with the help of our guides. Get you a boat load of the famous Apalachicola Bay Oysters! We also offer Dive & Snorkel Trips and much more. All trips include bait, tackle, license, ice, coolers and life jackets. We have fish cleaners for a small fee. Call (850) 927-2999 to Book Now!